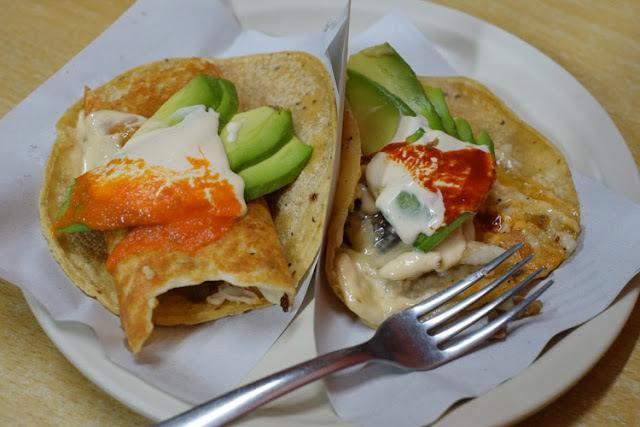 Here is part II of the Tijuana report from Carlyn Aguilar... where they discover the Festival del Pescado y el Marisco in Playas , drive to Carlyn's favorite taqueria, Tacos Salceados and do some Mezcal tasting at La Mezcalera. At this point we were about to explode and trying to drive a car full of 6 people uphill in Otay made us realize how much heavier we had become. 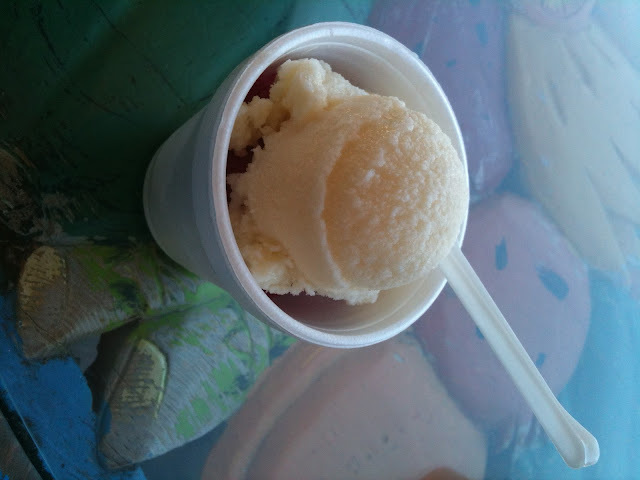 Everyone was too full for dessert, but one place I love in Tijuana that is perfect after lunch is Tepoznieves, an ice cream and sorbet parlour with over 100 interesting and exotic flavors: anise, fig, mezcal, guanabana, tequila, black zapote, papaya, cactus fruit, red plum, guayaba, cajeta, rose petal, mamey, piña colada… But my friends were too full, so we drove to Playas, the beach town that hosts the US/Mexican border. 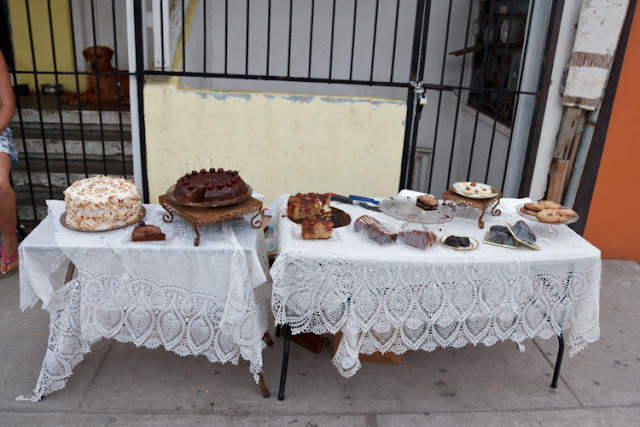 Fortunately when we got there, the Festival del Pescado y el Marisco was going on, so food from all the local restaurants had booths set up with free tastings. 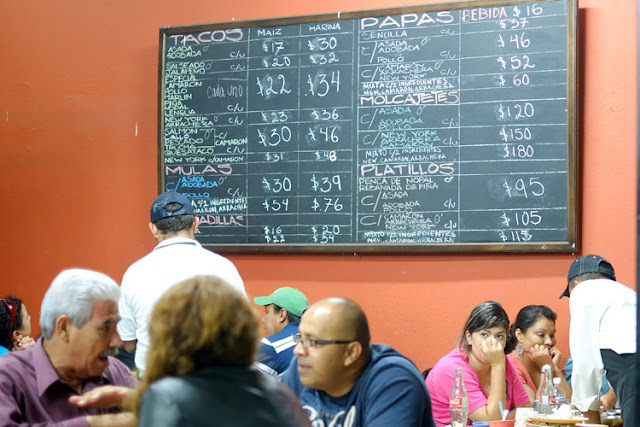 We walked a bit on the malecon and danced some cumbia, but we couldn’t help but try some of the local delicacies and drink some more tequila. 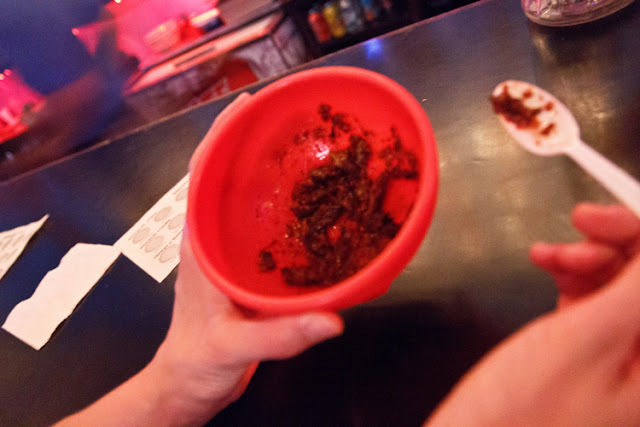 My tequila was served in a clay cup with tamarind, lemoncello, margarita mix, soda water, hot sauce, and a spicy tamarind candy that acted as an edible straw. I got warm in about 2 seconds. 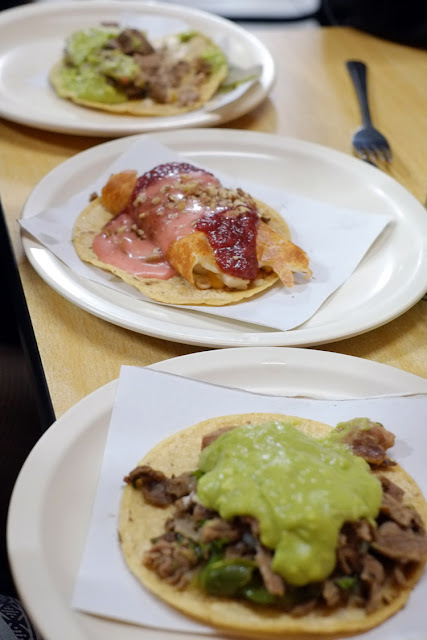 After drinking and dancing alongside the border, we drove to the neighborhood of La Mesa to eat at my absolute favorite taqueria, Tacos Salceados. 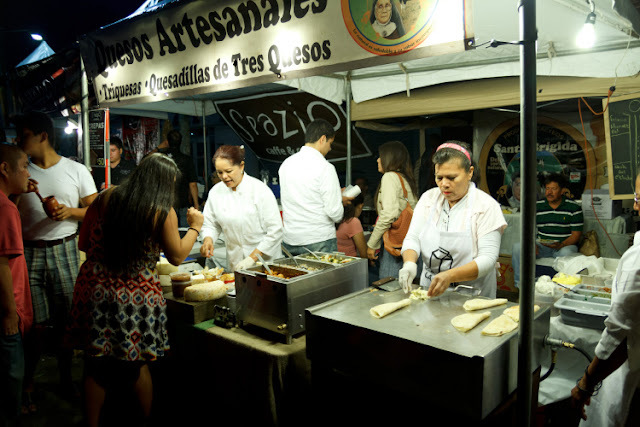 This taqueria makes tacos like no other- the famous quesotaco, a taco with a slice of toasted grilled cheese filled with any kind of meat or fish, pineapple and a strawberry sauce wrapped in a homemade tortilla. It’s like dinner and dessert all at the same time. We also ordered a taco with grilled jalapeño filled with carne asada and guacamole and a taco with New York steak and shrimp. My vegetarian friend had a quesotaco filled with cactus, mushrooms and melted cheese. Now that we had hit our eating limit, it was time to go back to drinking. La Sexta (6th Street) off the Avenida Revolución has some great bars all right next to each other. 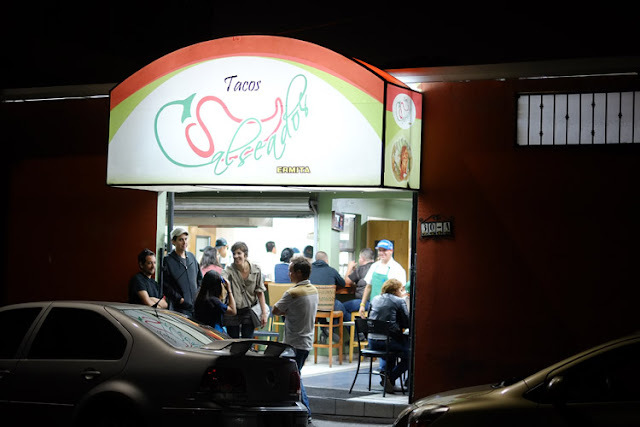 We first stopped at the Tijuana classic Dandy del Sur, a nostalgic dive bar with a juke box that has been around since 1957 and became even more famous when members of Nortec Collective hung out there (We actually spotted Hiperboreal at the bar!) and then wrote a song with the same title. 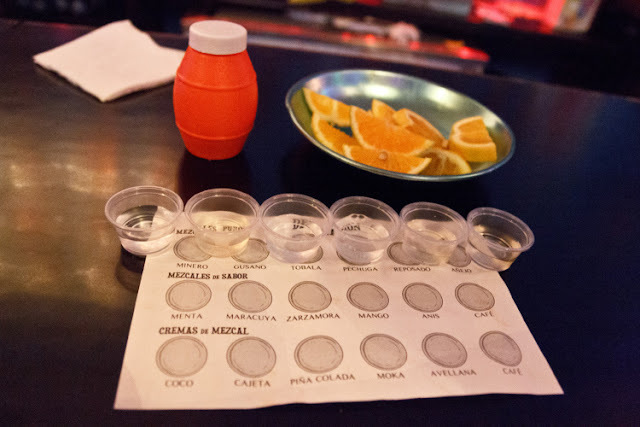 After some tequilas and beers, we crossed the street for a mezcal tasting at the ultra hip La Mezcalera. 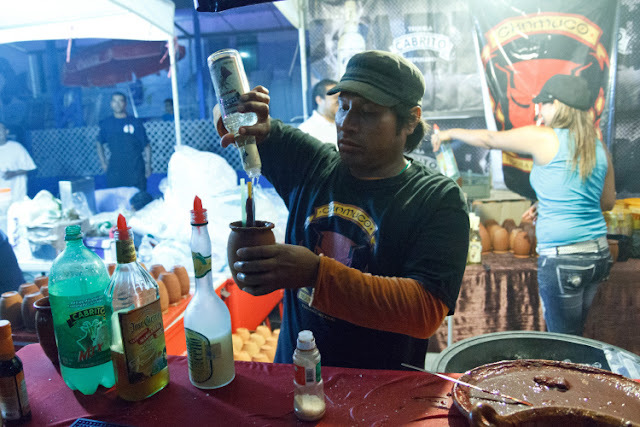 You can try mezcales puros (Minero, Tobala, Pechuga, Gusano, Reposado, Añejo), mezcales de sabor (mint, anise, maracuya, mango, raspberry), or cremas de mezcal (coconut, cajeta, piña colada, mocha, hazelnut, coffee). We drank our shots of mezcal with slices of orange and chapulines (grasshoppers) cut up and mixed with chile and lime… ¡que rico! Driving back to the border I knew I would be coming back to Tijuana muy, muy pronto! 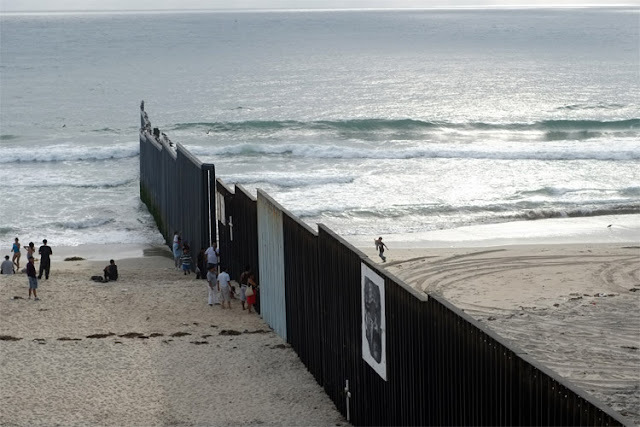 Tijuana is a very exotic destination and one of the places that is pure in Mexico. The place has a lot of history stemming from natives and conflicts. 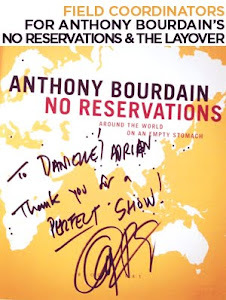 The food is great from what I read in cheap hotels in central london. 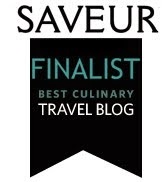 One place I love in Sherwood Park Hotel that is perfect lunch, an ice cream and sorbet parlour with over 100 interesting and exotic flavors. Dubai is most liberal and advanced Emirate of UAE, Desert Safari is nice way to live in deserts by Arabs.